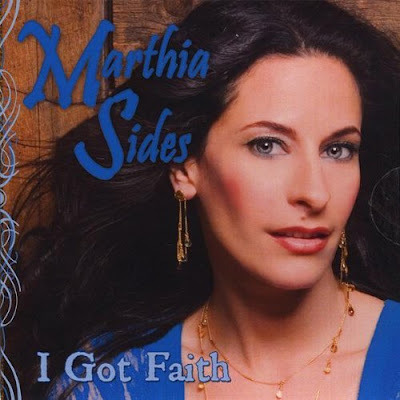 Album Review: Marthia Sides "I Got Faith"
Putting aside a successful Broadway and TV career is not easy to do. However, the talented Marthia Sides makes the transition look simple with her newest album "I Got Faith." Being beautiful doesn't hurt either. While "I Got Faith" was released many months ago, the album is relevant for today's country music marketplace, and the artist's polished vocals are readily evident on every cut. The album begins with the rousing "Just Right" and followed by the cut "Underappreciated." Sides channels her inner Gretchen Wilson with "Some Assembly Required." This track may be the album's best chance for a country chart hit. That said, Marthia Sides' star shines brightest on slower tracks like "Teardrop." If music charts were based solely on talent, "Teardrop" would be a Number One country track. Simply beautiful. "What A Girl Wants" is another slow ballad that perfectly showcases Sides' considerable talent. "Angels In The Snow" also has great appeal, and radio program directors should consider adding this cut to their winter or Christmas playlists.